Roosebeck Mediterranean Bagpipe Set Twin Chanters. 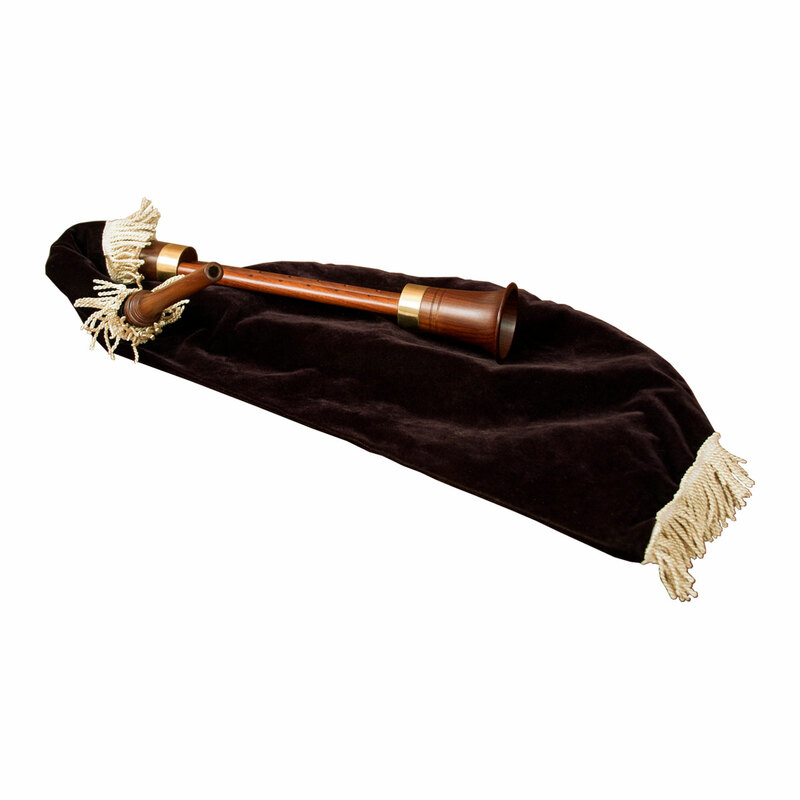 Twin chanter bagpipe of Turkish, Greek or Arabic style with Rexine bag. The chanter has 2 shafts mounted on a flare-shaped bell, providing both the drone and the note. Each shaft has 5 finger holes and its own bridled reed. Not in a specific Key made to be pleasing unto itself. This Roosebeck Bagpipe set has a Rexine bag. Rexine is a soft, synthetic, material designed to be air tight and to feel like high quality suede. The Rexine bag features a contoured goose neck for better airflow. Unlike the natural leather bag, the Rexine bag requires no breaking in period, and no seasoning. We think all pipers will appreciate the design, the texture and the lighter weight of this set with its Rexine bag. Includes 2 sets of cane drone reeds.